2017 was an intense year of learning for me. A change of charter for the labs group I work in late last year meant we focused deeper on core technology which was exciting as a technologist. This year that list included Unity, WebVR, Blender, React, React Native, Ruby on Rails and Blockchains (specifically Ethereum). Phew! A big part of this year for me was centered around building Virtual Reality experiences. The first half of the year was focused around building these experiences in Unity which is a very different environment to work in compared to as XCode or Android Studio (which I was deep into last year) but more reminiscent of my previous work in Flash. I really do enjoy Unity and this year made me truly appreciate the game development process. My friend and colleague Jack Zankowski (who did most of the design for our earlier VR work) gave a talk on our early VR experiences at a WiCT event early this year. However later in the year, we started doing a lot more work in WebVR which, though flaky at times, with platform-specific eccentricities, still was a much faster way to prototype VR experiences. Using AFrame, ThreeJS and WebGL was a fantastic learning experience and hopefully I can do more web animation and 3d graphics work, with or without VR, next year. I gave a talk on building WebVR experiences at PhillyGDG that you can find below. One thing I didn’t see coming was how much time I’d end up spending with Blender this year. I had never worked with 3d modeling tools before but our VR project needed 3D models and since I have some experience with illustration and design (I used to work as a freelance illustrator), that task fell on me. In the last 4 months of working with Blender I have gone from god-awful to okay-ish. Another project I was very involved with was an internal knowledge portal for our team that we built with ReactJS and Express. Having never done React till before this year, that was educational as well, and I completely fell in love with it (even given its weird licenses though hopefully thats starting to change). If you know me, there is a good chance that you know how 👍 I am about Blockchain and Decentralized apps. I have given a few talks on it but till recently these were mostly either focused on Bitcoin or on the academics of Blockchain technology. At a recent Comcast Labweek, I was finally able to get my hands dirty with building a Blockchain based decentralized app (DApp) on Ethereum. Labweek is a week long hackathon at the T&P org in Comcast that lets people work on pretty much anything. I was pretty fortunate to end up working with a bunch of really smart engineers here. The problem we decided to look into was the challenge of funding open source projects. I am pretty passionate about open source technologies but I have seen great ideas die on Github because supporting a project when you aren’t getting paid for it is really hard. Our solution to this problem was a bounty system for Github issues that we called CodeCoin. A project using CodeCoin would sign up on our site and download some Git hooks. When anyone creates an issue on Github, we create an Ethereum wallet for the issue and post the wallet address back to Github so its the first comment on the issue. We use a Chrome extension that adds a “Fund this issue” button on the Github page that starts the Ethereum payment flow. Ether is held in the wallet till the issue is marked resolved and merged into master. At this time another Git hook fires that tells our server to release the Ether into the wallets of all the developers who worked on the issue. Note that while we held the Ether on our side in wallets, the right way to do this would have been to use a Smart Contract. We started down that route but since most of the code was done in like 2 days (while juggling other real projects), wallets seemed like the easier route. Releasing money into developer accounts was also a hack. Since developers don’t sign up to Github with any digital wallet address, we need the wallet addresses as part of the final commit message. This could be done with a lookup on a service like Keybase.IO maybe and with more time we would have tried integrating it to our prototype. In fact it was the next week that I heard about their own Git offering. I haven’t read enough about that yet though. For local development, we used the TestRPC library to run a Ethereum chain simulation on our machine. Web3js was injected into the browser by the MetaMask extension. There were some challenges getting Metamask to talk to the TestRPC. Basically, you had to make sure that you initialized MetaMask with the same seed words as you used for your account on TestRPC (which makes sense) but there isn’t a way afaik to change that information in MetaMask. Early on, we were restarting TestRPC without configuring the initial accounts so we’d have to reinstall MetaMask to configure it with the new account. Chalk that to our own unfamiliarity with the whole setup. Oculus announced two new self contained headsets: the Go, a 3DoF inexpensive ($199) headset that will be coming early next year and much later, Project Santa Cruz, the 6DoF headset with inside-out tracking. Whats interesting is that both these devices will run mobile CPU/GPUs which means that 3 of the 4 VR headsets released by Oculus will have mobile processing power. If you are a VR developer, you better be optimizing your code to run on low horsepower devices, not beefy gaming machines. The older Oculus Home experience is also going away in favor of the new Dash dashboard that you’ll be able to bring up within any application. Additionally you’ll be able to pin certain screens from Dash enabled applications (which based on John Carmack‘s talk seem to be just Android apks). There could be an interesting rise of apps dedicated to this experience, kinda like Dashboard widgets for Mac when that was a thing. Another change is that the new Avatars have eyes with pupils! The previous ones with pupil-less eyes creeped me out. 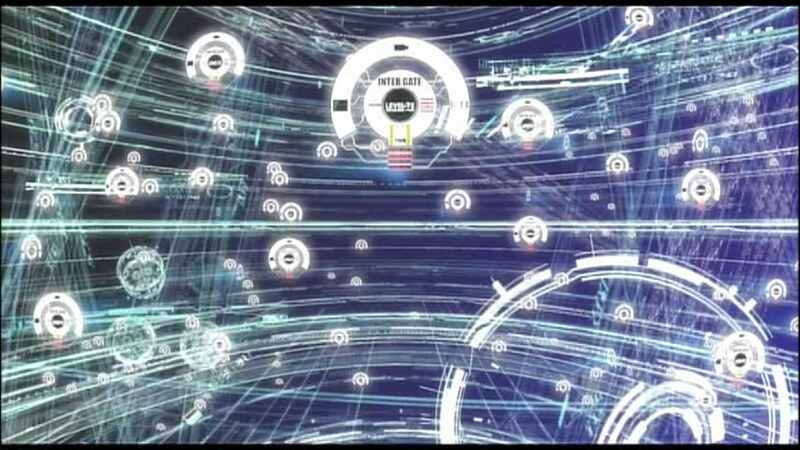 The eyes have also been coded to follow things happening in the scene to make them feel more real. Oh and finally, the Avatar SDK is going to go cross platform, which means if you use the Avatars in your app, you’ll be able to use them in other VR platforms as well like Vive and DayDream. Oculus has been talking quite a bit lately about how Video is a huge use case for VR. A majority of use of VR seems to be in video applications, though detail on that wasn’t given. For example, apps like BigScreen that let you stream your PC cannot be classified as video or game since who knows whats being streamed. Also since the actual usage number of VR sessions wasn’t said, its hard to figure out if the video sessions count is a lot or not. Either way, one of the big things that Carmack is working on is a better video experience. Apparently last year their main focus was better text rendering and now the focus is moving to video. The new video framework no longer uses Google’s ExoPlayer and improves the playback experience by syncing audio to locked video framerate rather than the other way as its done today. One of the interesting things announced at Connect was Venues: a social experience for events like concerts, sports etc. It will be interesting to see how that goes. 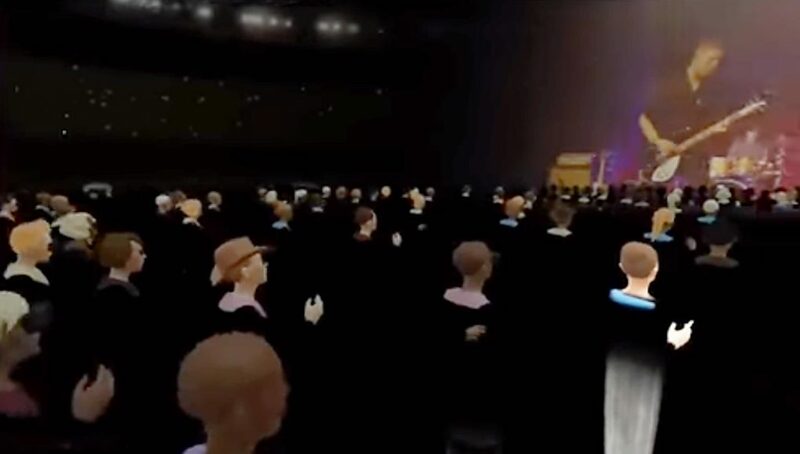 While I was wowed by a lot of the technology presented, it definitely feels like VR has a Crossing the Chasm problem: They have a pretty passionate alpha-user base but are trying really hard to actually get the larger non-gaming-centric audience in. Oculus Go seems like a good idea to get the hardware and experience more widely distributed but what is really needed is that killer app that you really have to try in VR. The technology pieces are right there for the entrepreneur with the right idea. I have been involved in a few VR projects this last year. While the earlier prototypes used Unity as the development environment, some of the new ones use WebVR, an emerging web standard for VR development. The biggest thing though is that the kind of experiences we have always thought about: moving from one VR experience, is not possible in a series of native apps. I have heard the future of VR referred to as a “web of connected VR experiences” and that is the vision that is truly exciting. That said, current tooling is much better for VR native apps with most tools focusing on Unity, which is really the de-facto tool for game developers. However I really hope the tooling on WebVR side starts getting better. The way we currently build for WebVR is by using AFrame, a VR framework built on top of WebGL primarily maintained by Mozilla and the WebVR community. AFrame is built on top of ThreeJS, the most popular 3D library for WebGL. For desktop VR development, the only desktop browser that you don’t have to finagle with too much is Firefox. 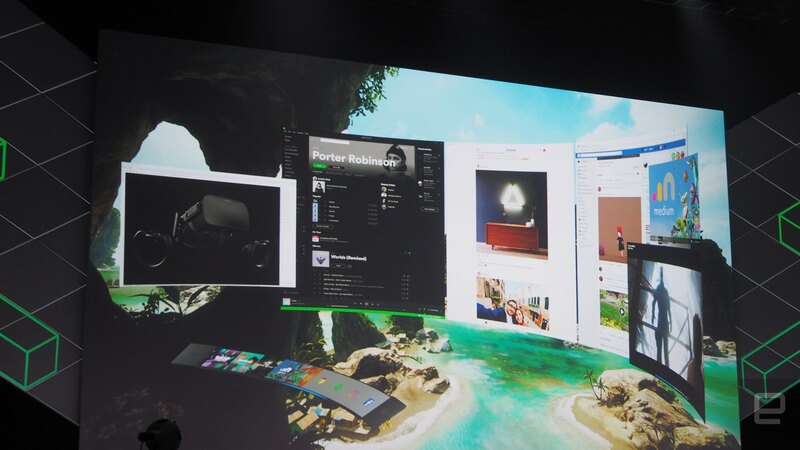 Most of the development is done on Oculus Rifts connected to some beefy PCs. Currently there is no available web browser that can launch from the DayDream VR home menu. While Chrome on Android supports WebVR and will trigger a “Insert into Headset” DayDream action when a user taps on a VR button on a WebVR experience, there is no way to get to that experience from within DayDream itself. 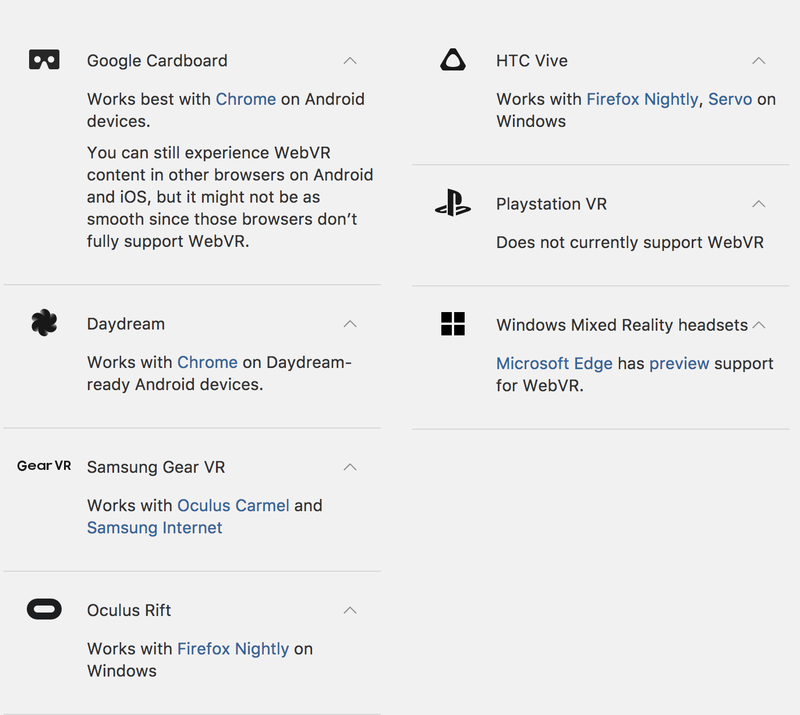 You cannot pin a WebVR experience to your DayDream Home and WebVR experiences don’t appear in your recent VR apps section. One thought I did have was to create an Android app with the Manifest declaring it as a DayDream app, and then have its main view just be a WebView. Unfortunately that didn’t work, though I did get the app in the DayDream Home view. A different idea was to let this app launch Chrome with my WebVR app’s URL. Again, there were challenges: For one Chrome launched in conventional view and did not automatically trigger the VR split view for the left and right lenses. To add to this hack, I added a trigger to call AFrame’s enterVR() method when the page loaded which kinda worked but every launch caused this weird blink when the app went from 2D to VR mode that it was actually painful to use. 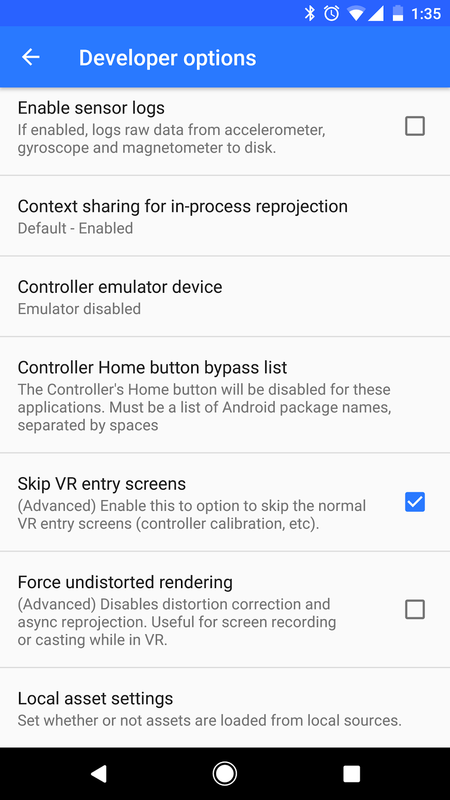 One HUGE tip in this workflow: Make sure you have enabled the DayDream debug menu selected the “Skip VR Entry Screens” without which the workflow mentioned adds like 2 more steps per debug. For a lot of my testing, all I needed was the console.log function from developer tools. You can see your logs using Chrome Developer Tools’ Remote Debug feature. Not sure I was doing it wrong but I kept losing connection to the active tab every time I reloaded the page to check. Really annoying. At the end of the day, I did discover the A-Frame Log Component, which I haven’t used yet, but intend to very soon. If you are developing for VR, your productivity is directly proportional to how much of the development you can do without putting on the headset. With WebVR, since your app automatically works in a browser, you can do a lot of development without the headset. Unfortunately this breaks down when you are trying to code around user interactions. You can use the Mouse as a raycast source which gets you partly there but you really want an emulator for the hand controllers to try different things out. DayDream officially has an emulator for its controller, but that controller only seems to target Unity and Unreal based projects. There are other projects like DayFrame for AFrame but since my problem was specific to the DayDream controller, using a proxy emulator didn’t make much sense. What I really wanted to do was to pair the official Google DayDream controller to my PC but I haven’t been able to find any way to do that yet. I have been generally enjoying working with AFrame and it has a surprisingly (to me) strong community of active developers. However the developer workflows, esp for on-device testing, still need work. Ideally what I am looking for is a one click that deploys my WebVR app to a server and then launches DayDream pointed to the WebVR page running in fullscreen VR. Or even better, a WebVR/AFrame equivalent of Create React App or similar boilerplate projects, that automatically sets up all the best tools for developing and testing WebVR projects on both the browser and on-device. Fetch and Promises start executing immediately. You cannot create a Promise object and store it to be executed later. If you are trying to avoid that, one option is to create a function that returns the Promise when needed. Fetch requests have no concept of a timeout. If you need a Fetch request to be aborted after a certain number of seconds, the best way I have seen is to use Promise.race along with a different function that then throws the error to reject the Promise chain. Making multiple calls with Fetch? Promise.all is a great option except that all requests / Promises start executing in parallel. If you need to execute them in sequence (like I did), you are out of luck without writing some utility code or leveraging a library. I ended up using this npm module. Server error responses to Fetch calls are still interpreted as successes and call the success callback handler. Which means that you have to check for errors in your onSuccess which feels just wrong. These are definitely some … debatable calls made by the guys deciding the api. If there are other gotchas you have run into, please share them here as well. I have been thinking about this for a while and collecting links on different ideas around this for the last few years. The deck below collects some of these ideas. If you have others that could be added, please leave a comment.